THE FIRST week out of the byes was a thumper for many coaches but it didn’t come without disaster. Popular forward Isaac Heeney was concussed on Thursday night on just 18 while popular trade target Nat Fyfe’s game was cut short with a hamstring injury. Tom Mitchell already has Pig status and this was a swift reminder why. He went crazy against the Giants, scoring a phenomenal 195 from 50 possessions, nine marks and 13 tackles. After a disappointing outing last week some coaches were calling for Mitchell’s Pig status to be removed, which I am happy to say is now officially the dumbest call of the year… and there was some stiff competition in that department on the weekend. Honourable mention: Brodie Grundy is an absolute beast, and that was once again on display against the Suns when he racked up 49 hit-outs to go with 23 touches and an impressive nine tackles for 151. 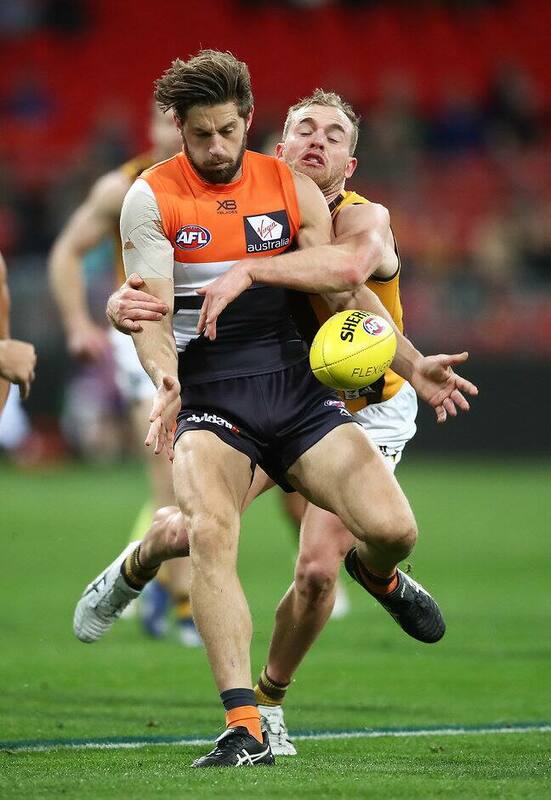 He is having an awesome season and has embraced the move of Cox playing predominantly forward which gives him the opportunity to own the opposition ruckman. The funny thing is Fantasy coaches knew this was the case a long time ago, I'm glad 'Bucks' caught on. Robbie Gray has developed an uncanny ability to score in the 60s, and low and behold he did it again despite kicking three goals and scoring 50 in the first half. He ended the game with 13 possessions, two marks and two tackles for just 62. He is a shadow of the dominant midfielder we saw at the start of the year and needs to go. Honourable mention: Tom McDonald has been a huge surprise packet, kicking goals and pumping out triple-figure scores at will over the last few weeks. Unfortunately for anybody that picked him up as a point of difference, it all came crashing down against the Saints with a disappointing 39. The experiment is over now the Dees are on the slide and he managed just eight touches, two marks and a goal. The long-awaited debut of Quinton Narkle didn’t disappoint as the Cat delivered the same excitement on the big stage as we have come to expect in the VFL. He is borderline ‘must have’ following his 14-possession, four-mark, six-tackle and two-goal performance for 88. With plenty of weeks left in the season, the need for good cash cows is alive and well. Honourable mention: Brayden Sier had a great debut for the Pies, making the most of his opportunity and doing his chances of hanging around no harm at all. He had 19 possessions while going at 84 per cent and laid an impressive six tackles to ensure his pressure acts were there. A double downgrade may be on the cards this week. I don’t think so, but it was awesome to see him out there! And playing so well. Worst part was Warnie and I took Jake Lloyd’s 125 as skipper via the loophole and Cal had Titch! It’s about time I started giving Gaff the respect he deserves. I love them all, but Gaff gets the nod. Hands down Crouch and the Sic Dawg for me.